I’ve written before, that more than once, my “smart Timesulin cap” has saved me from missing my daily long-acting insulin shot. 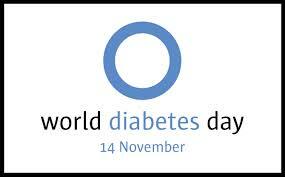 So the Timesulin folks asked me to be among the people to write a blog post on their blog about World Diabetes Day. 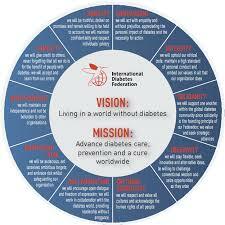 As I wrote it, I realized I’m not entirely happy we have a World Diabetes Day. If you want to know why, read the post. You might agree with me. If you want a Timesulin cap for your insulin pen, unfortunately you’ll either have to have someone bring one over for you from Europe, or hope Timesulin gets approval to make them available here in the US next year as they’re hoping. diaTribe is the consumer monthly newsletter from Close Concerns.com, a grassroots company making patients, researchers, clinicians and pharma smarter about diabetes to improve how we live with diabetes. Close Concern’s Founder, Kelly Close, guides each issue of diatribe as Editor-in-Chief, and Adam Brown, diaTribe’s Managing Editor, both have type 1 diabetes. Several other contributing editors do as well. Each month or so, the latest issue pops into my inbox covering a wealth of knowledge on diabetes, and relatedly, obesity. I get to read about the newest medicines, devices, studies, trials, posts from fellow diabetes advocates and insightful interviews with industry leaders, as the team criss crosses the country attending medical and health conferences. Perhaps, particularly as people here try to get their life back on track after Hurricane Sandy, and I am reeling from election fatigue, reading these two stories I found myself grateful, and invigorated by a device advance in the field, and the wisdom and humanity of one of our great endos, Dr. Anne Peters. diaTribe Dialogue – An interview with the exceptional Dr. Anne Peters. If you’d like to get more informed, you can sign up for your free copy of diatribe here.